On Friday afternoon I joined a group of women from the Catholic community in my neighborhood and visited the Islamic Center of Los Angeles in our neighborhood for prayer. I confess that I was reluctant to do so for selfish reasons having to do with organized religion, but after brooding about it for a day or two, I realized that my discomfort was just that -- discomfort bred by ego. I was struck, especially, by one of the "twenty lessons from the twentieth century" that I posted the other day. The mosque was filled, crowded with members there practicing their religion and with people from the community of diverse faiths, including a contingent of Latino men. We were there to pray with our Muslim brothers and sisters and to show solidarity with the Muslim people of our community and world, particularly in the face of the Trump administration's oppression of civil liberties.Those of us who chose to do so wore appropriate head coverings and went into the room for women, while others sat in the vestibule. The imam led all of us in prayer and then gave a beautiful talk about inclusivity, emphasizing that we are all God's people and intent on peace everywhere in the world. 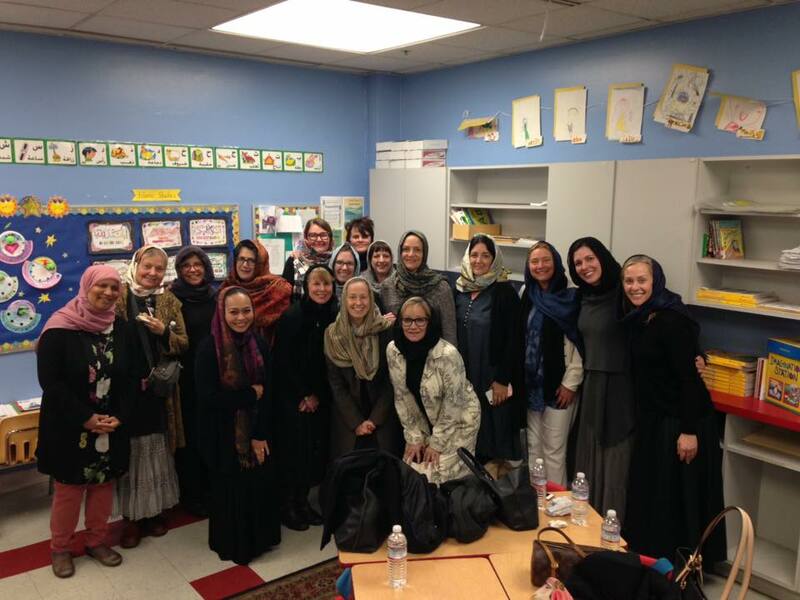 Afterward, the women of the mosque invited us into the kindergarten room to share in treats. 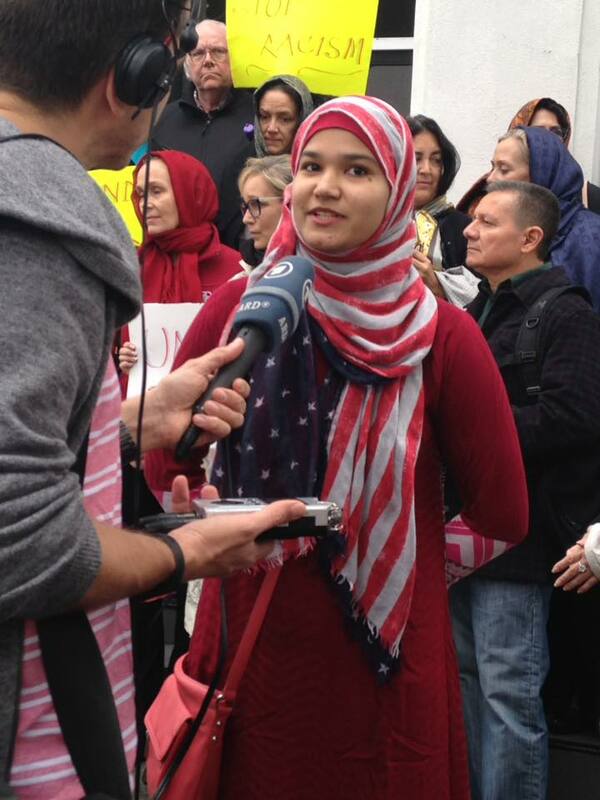 It was a profound experience for me, underscoring my conviction that we must continue this uncomfortable and difficult work to resist those who would divide this country and go against every ideal that we have ever professed. Here's a wonderful and prescient poem by the great suffragette, Ella Wheeler Wilcox, who wrote it in 1914. I listened to and read it this morning at the Brainpickings website. You can read more about Ella's exhortation against silence here. Listen to the poem, too. This is wonderful. That one from "twenty lessons" on corporeal politics struck me too. Thank you for your resistance. What a great opportunity. It strikes me that the people who are most strenuously against muslim immigration often have never met -- and certainly don't know well -- any muslims. Wonderful. Showing solidarity. Remembering Lech Walesa and his Solidarity movement and what it accomplished. Good on ya, Elizabeth.